Can I import data from an existing list? Where can I use custom lists? 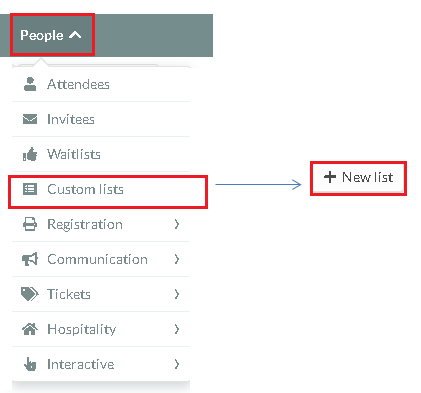 With the Custom List tool, event organizers can segment individuals into different groups that will be given their own agendas, notifications, emails, among many other features. Then towards the top left of the platform, Click on the '+NEW LIST' button. Note that you will now have one (or more) list (s) of attendees among the options that can be selected. Event organizers may now select the list they want to complete (they may also choose to delete certain lists). 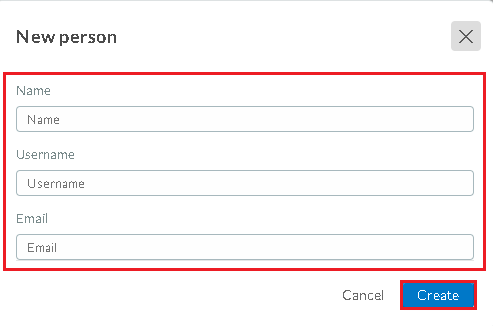 To add a new person to the list, click "+ NEW PERSON" , Enter their data and click on the blue 'CREATE' button. You can also enter large amounts of data via the Excel worksheet. To learn more, see Spreadsheet Import / Export . If you have already registered a list in another event, or want to import the data from an existing list in the same event, you can also click "Import from list" . A new window will open with a selector with all existing lists in the company. Select that particular list and click the blue 'Import' button to add the list into the current one. Note: lists are fixed to each company that are contracted with InEvent, which means that an Event organizer from one company does not have access to another company’s list.